Belly Button Designs: ‘Eggstaticaly’ ‘cracking’ good fun - easter is only a hop, skip and step around the corner! 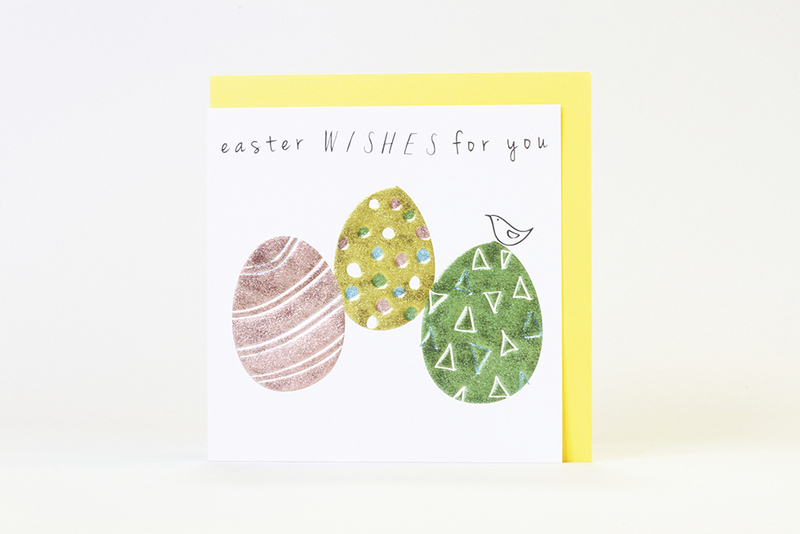 ‘Eggstaticaly’ ‘cracking’ good fun - easter is only a hop, skip and step around the corner! We celebrate easter with quirky twists on traditional icons. 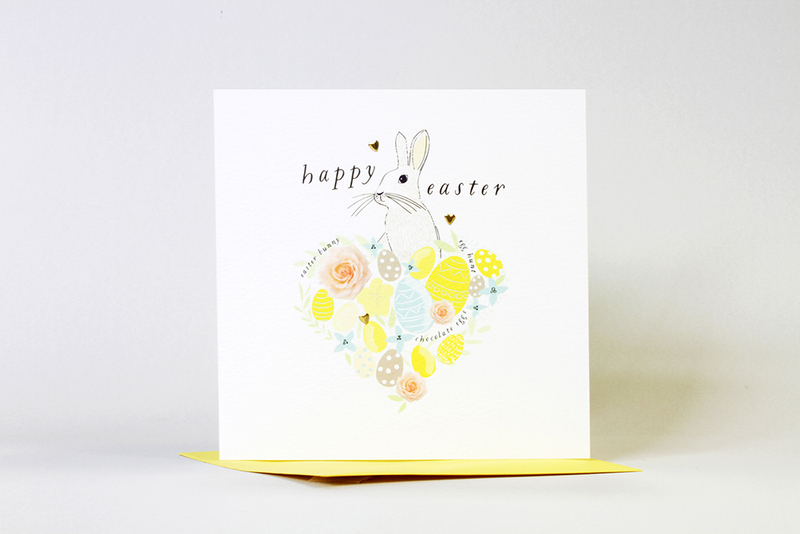 Hop to it in an easter hunt with our 'Quill' bunny. ‘Cracking’ fun with cute little new born chips. 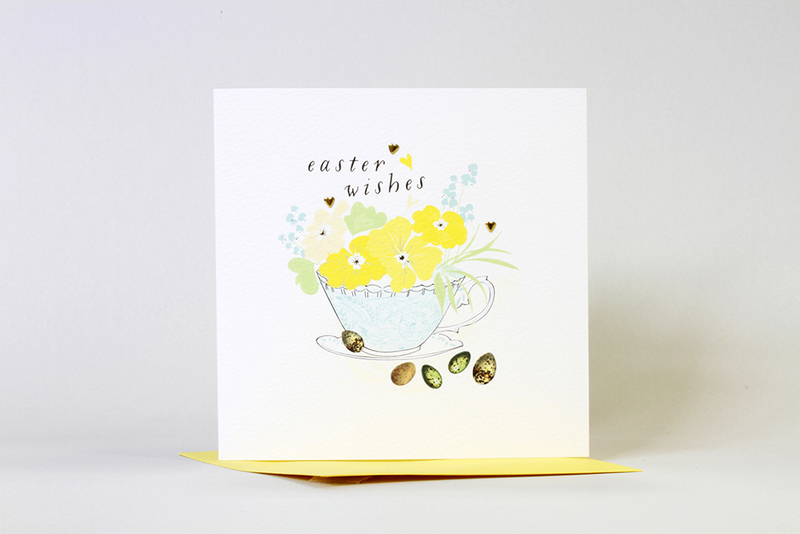 Taste of spring with floral bouquets in cups of tea. 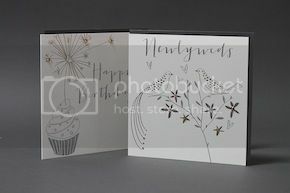 Easter brings edible gifts of chocolate covered in bright metallic foils and a smile from ear to ear! Floral scents and flower blooms mark warmer weather and a spring in everyones step. As well as the chocolate delights, give someone your time of the written word! 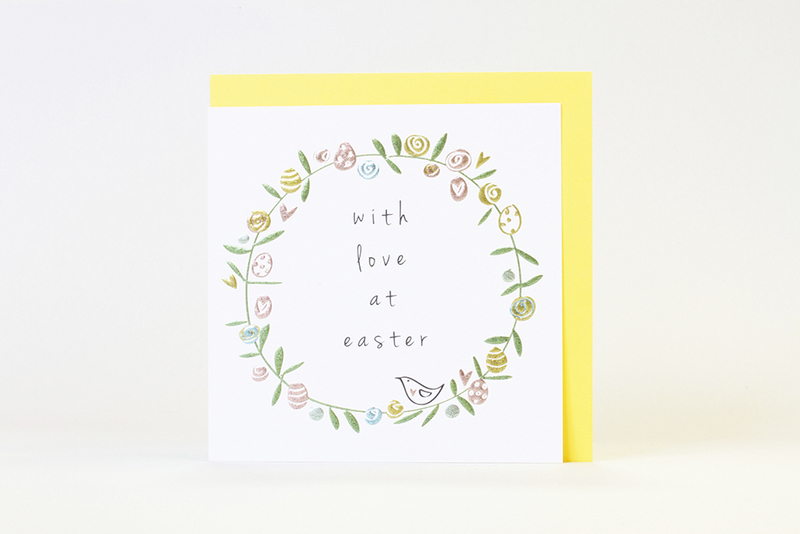 Look out for our ‘eggtremely’ fresh approach to easter greetings at your local boutique gift card shop or on the high street. If you are a trader looking to 'eggpand' on stock contact your local agent or visit our trade website.